The Lutheran Church in Düsseldorf, the Erlöserkirchengemeinde, offers one single and one double room to rent in the parish house at a low price. Each room has a modern bathroom-en-suite. 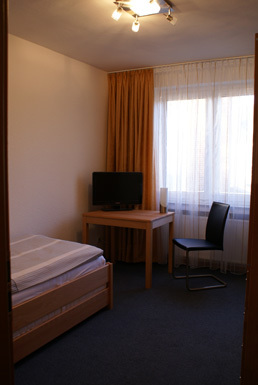 The rooms are equipped with TV, WLAN, etc. The rooms have a separate entrance, and are modern and comfortable. 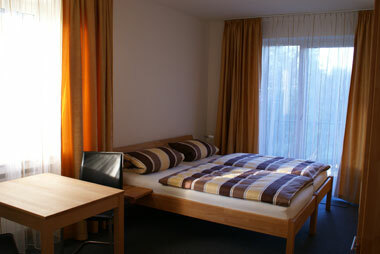 The guest rooms are located on a quiet side street in the north of Düsseldorf. They lie in close proximity to the Trade Fair Center (Messe), the CCD (Congress Centre Düsseldorf), the Fashion House and the airport. It is only 3 minutes walking distance to the underground train station (U-Bahn). This makes the rooms ideal for visitors or any person temporarily working on the exhibition grounds. On the other hand, the rooms offer normal visitors to Düsseldorf an ideal, quiet lodging from which they can easily reach places of interest in the city centre, for example the "Altstadt". We refer to our Terms and Conditions.